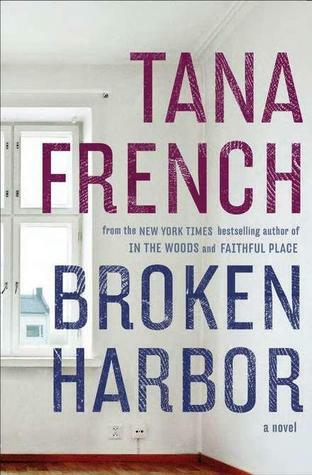 Today, Tana French's fourth book in her Dublin Murder Squad series is available. Broken Harbor features Detective Mick "Scorcher" Kennedy from Faithful Place. Tana French is the author of three bestselling novels, including the award-winning In the Woods. She has won the Edgar, Anthony, Macavity, and Barry awards for Best First Novel and the IVCA Clarion Award for Best Fiction, and has twice been a finalist for the Los Angeles Times Book Award for Best Mystery/Thriller. She lives in Dublin with her husband and daughter. We first met detective Mick “Scorcher” Kennedy in Faithful Place and he was regimented and unlikable. What made you turn this character around in Broken Harbor? One of the things I like about writing ‘chain-linked’ books, where a secondary character from one turns into the narrator of the next, is that it gives me the chance to explore how complex and subjective identity can be. One person’s view of another is likely to be skewed, and almost certain not to be the whole truth. In Faithful Place, Frank Mackey sees Scorcher Kennedy as a pompous, rule-bound, boring git – but that’s because of who Frank is and what he needs to see. From Scorcher’s own viewpoint, he’s much more complicated than that, much more intense and much more deeply broken. How did you become so expert on police procedures? I’m lucky: I know a retired detective who’s been kind enough to help me out with a huge range of questions, as well as telling me the stories that give me some feeling for what that life is like. When it comes down to it, though, I often ditch the reality in favour of what works for the story. To take the most obvious example, there’s no Murder squad in Ireland – but In the Woods needed to have that tight-knit, elite, hothouse atmosphere, so I invented one. I still need to know the reality, though. If there are inaccuracies in these books, I want them to be because they benefit the story, not because I goofed. How has your background in theater shaped the way you write/reach out to your audience? I definitely write like an actor, and I think acting was great training for writing. Deep down, it’s basically the same skill: your job is to create a real, complex, three-dimensional character and draw your audience into his or her world, deeply enough that they go away feeling like they know this person intimately. Every now and then I get an e-mail from someone who feels like the characters have become close friends. It’s probably the best compliment I can get. There are also practical advantages to the acting background. If I write a line of dialogue and then realise that, as an actor, I couldn’t say that, or if I have a character do something and then realise that I couldn’t play that, then I need to do some rewriting.